One of the first attempts at humanoid robot design took place in 1495, when Leonardo Da Vinci developed the mechanical knight. The robot was designed to make several human-like motions, but it wasn't until the 1990s, when the Massachusetts Institute of Technology (MIT) invented Kismet, the world’s first sociable robot. 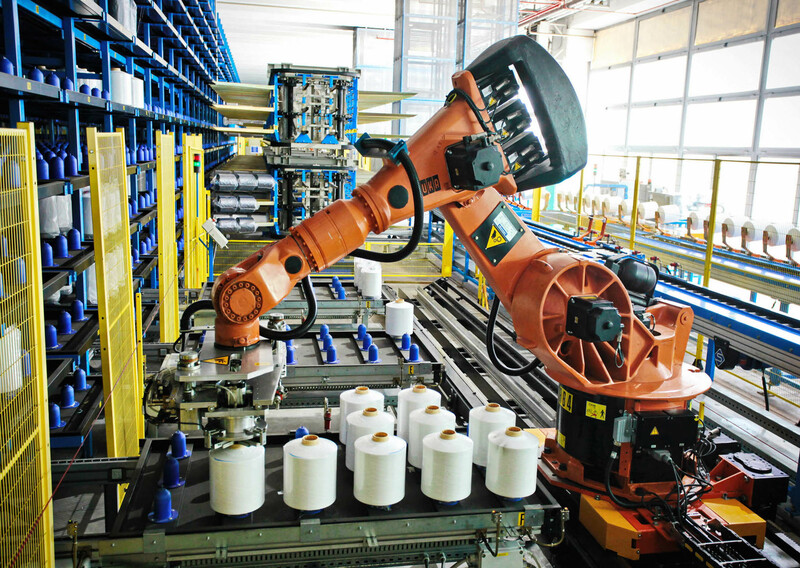 The manufacturing industry took inspiration from humanoid robots to optimise productivity. In manufacturing, automation is embedded in the factory assembly line and completes repetitive, laborious tasks. However, some sectors require robots for more delicate tasks, that have previously relied on the work of the human hand. Soft robotics mimic human or animalistic behaviour to create natural, fluid movements. Many manufacturers need machinery that is more efficient than both a human and a bulkier machine. Certain tasks require higher levels of accuracy which human workers cannot replicate consistently. Soft robots deliver the consistency required and can also do the jobs that may cause human injury, such as Repetitive Strain Injury (RSI), further improving productivity and reducing risk to employees. While manufacturers still use hard robotics in mass production, there are some jobs that require more precision. As soft robotics are more precise than larger machines, they can grasp objects that their bulkier counterpart would struggle with. Designers create robots with silicone covered metal tentacles that cover and grasp the object. The robot can estimate the size and shape of the object through sensors, allowing it to adapt its movements from the sensory data to pick up the objects. Soft robotics are more durable than hard robotics due to the materials used. Researchers have designed soft robots to withstand heat, water and heavy weights. Often the robots are controlled by water and air pressure, allowing them to operate under conditions that electrical equipment would not be able to withstand. This is particularly useful for manufacturers that use flammable or toxic chemicals during the manufacturing process. Recent discoveries regarding the potential of soft robotics has led to some farmers using the technology in food handling to improve efficiency in the agricultural sector. These robots can plant and cultivate crops without causing damage that metal, computer controlled robotics would cause. Online food retailer, Ocado uses soft robotics to pick food for deliveries. A robotic hand, controlled by air pressure, grasps the food object sensitively and places it in packaging. This technology is not only more efficient than a human hand, but it also reduces waste caused by bruising fresh produce. Soft robotics are in the early stages of development and other sectors must invest to allow the mass production and industry-wide use of the technology. To get the best use out of them, manufacturers need to develop the technology to carry out more advanced actions and become more intelligent and autonomous. Companies producing soft robots, such as Soft Robotics inc., hope other sectors will adopt this technology in the future. It has even been predicted that these robots could benefit space exploration, service robotics and search and rescue teams. Robotic technology has drastically changed since the design of the mechanical knight. If manufacturers fully invest in the development of soft robotics, it may go on to benefit a multitude of sectors. Jonathan Wilkins is marketing director at industrial automation equipment supplier EU Automation.